Hotel agreements can be extremely intimidating but if you know what concessions can be negotiated you can save your clients thousands of dollars. 1. Sleeping Room Nights – In addition to negotiating a low attrition rate on our sleeping room block, we negotiate 1 complimentary sleeping room for every 40 sleeping rooms booked by our attendees. We’ve even been known to negotiate it down to 35. Additionally, we always ask for a complimentary sleeping room for the event planner onsite for the duration of the event. We may not always get it but we always ask. 2. Internet – We ask for complimentary Wi-Fi in all group sleeping rooms. It is a little difficult to get complimentary Wi-Fi in all your event space but ask for complimentary connections or negotiate down the rate that the hotel quotes. 3. Meeting Space – When we have a large amount of food and beverage, we ask for no meeting space rental. We never like to pay for our meeting space if we can help it. We want to put our client’s money into things that will make for a better experience for the attendees. 4. Parking – Many hotels will charge for valet parking and self-parking. We negotiate as many complimentary parking passes as we can get out of the hotel for the event staff. We generally start with 10. We also negotiate down the parking fees for our attendees. 5. Hosted Reception – Some hotels will agree to host a complimentary cocktail reception. Some will offer one complimentary drink ticket to all attendees or throw in complimentary desserts. 6. Reward Points – Many hotels offer rewards points. Often we negotiate to have our client’s entire hotel master bill count towards the hotel’s reward point program. If the hotel will not agree to this, we will ask for double or triple points. If you do multiple events, try to stay with the same hotel chain to receive more reward points. You can save thousands of dollars and the points add up quickly. Hotels love repeat customers and will reward the client and planner for the business. 7. Agreement Signature – Your sales manager has a certain quota to meet each month so if your client will agree to sign the contract before the end of the month the hotel is more likely to agree to your requested discounts. Bonus Tip – Always ask for a commissionable rate on the sleeping room block. Hotels will pay event planners a 10% commission on all sleeping room nights sold from the sleeping room block (they will not offer it if you don’t ask for it). Keep in mind that most hotels require event planners to have an IATA number but some will take the planners Federal ID number. The commission is generally paid 30 days after the client has paid the final invoice. This can add up to thousands of dollars for the event planner and it does not come out of the client’s pocket. For example, 300 sleeping room nights at $295 per night = $88,500 x 10% = $8,850 paid to the planner – not too shabby huh? Some planners will agree to give this commission back to the client; however, we put a great deal of work into managing the sleeping room block and on occasion will adjust our fee with the client knowing we will receive the commission from the hotel. This depends on the circumstances and how badly we want to work with the client if we know there is potential for repeat business in the future. There are many more hotel concessions that can be negotiated but these are a few to consider in your next negotiations. We recently saved a client $56,000 on hotel concessions. The money we save our clients more than offsets our fee. So remember, if you don’t ask, you won’t get the discount! Happy negotiating! This is just the tip of the iceberg of the many concessions that can be negotiated. I can teach you even more in my one-on-one personal event planners coaching program. 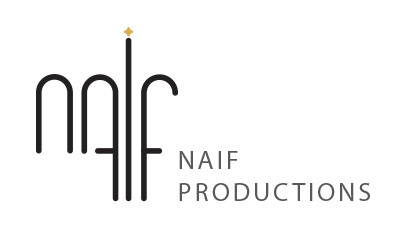 If you want to learn more, please write us at events@naifproductions.com.